I can’t believe I didn’t write a review for this one yet! It’s the sweetest, most captivating short fantasy story I read in a long time. It’s sweet, a bit scary, and oh so beautiful in the end. 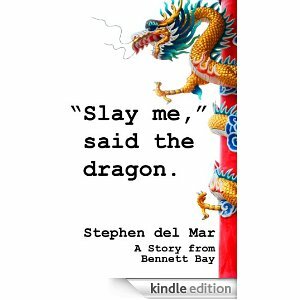 There’s dragons who can appear in human form, and a dragon slayer. Bad dragons and good dragons. And love. It starts a bit scary and you don’t know where it’s going until you reach the end to realize it’s one of the most beautiful love stories ever written. And I read a lot. It’s really touching. Reblogged this on Worming the Books.